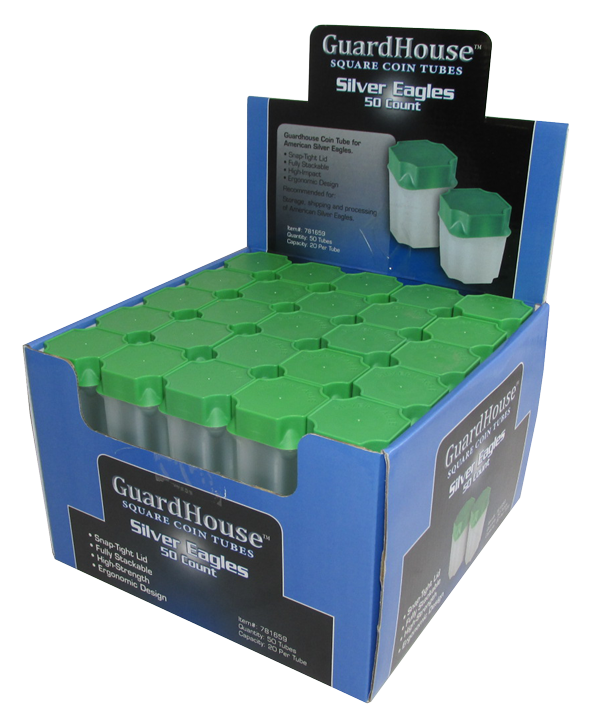 The new Guardhouse coin tubes are here, and we are impressed! They are unlike any we’ve seen before. 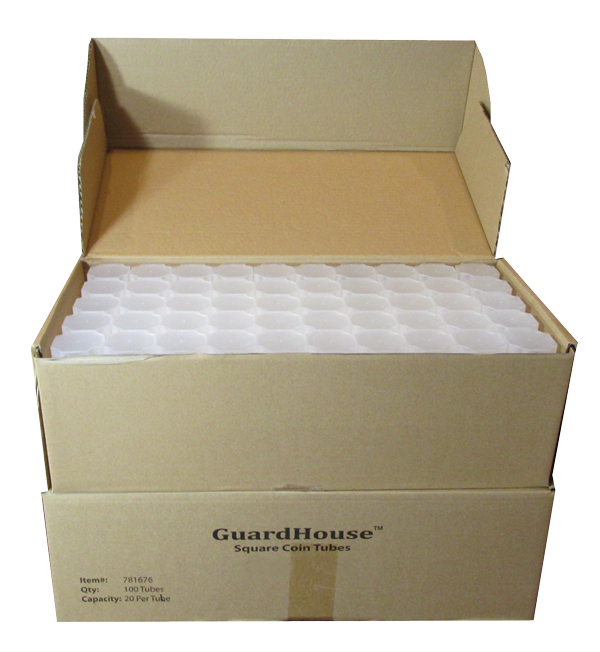 What makes Guardhouse coin tubes different? Feel: The tubes are sturdy yet lightweight. They feel solid and sleek, with no sharp edges to snag your hands on. 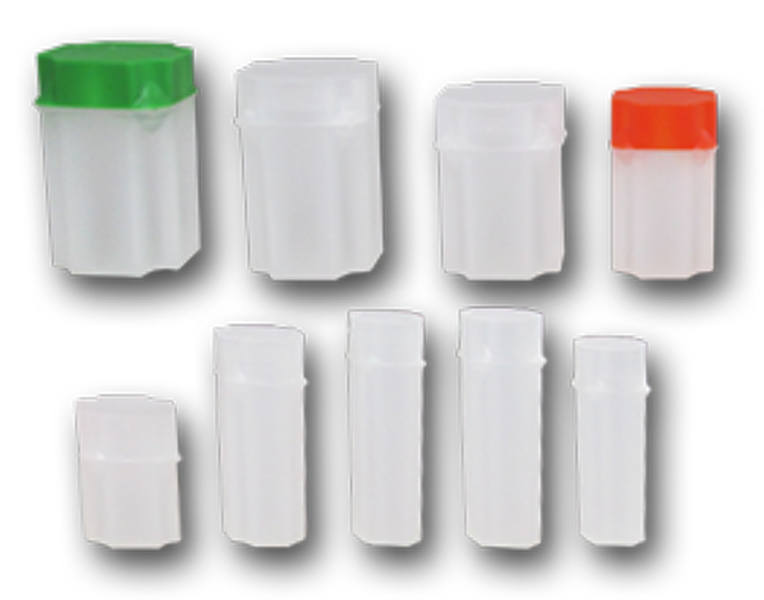 Security: Lids come off easily with a slight twist and line up instantly for a tight close every time – no more need for tape or rubber bands to keep tubes closed! Convenience: No more puzzle games in a box full of coin tubes– Guardhouse tubes have a thumb notch on the lid so you can grab the tube you need effortlessly. An added bonus: American Silver Eagle tubes, with their identifible green lids, fit just right in a U.S. Mint monster box. Clarity: Translucency allows for visibility from the top, sides and bottom, so now we can see exactly what‘s in each tube. Sensibility: How many times have we had to clear a pile of tubes from our desk to find the one we’re looking for? These ingenious tubes stack! Their lids and bases are designed to fit into each other, saving space and frustration when processing our coins. We also appreciate the reducer built into the lid, eliminating the need to stuff extra packing material into the tube when shipping.